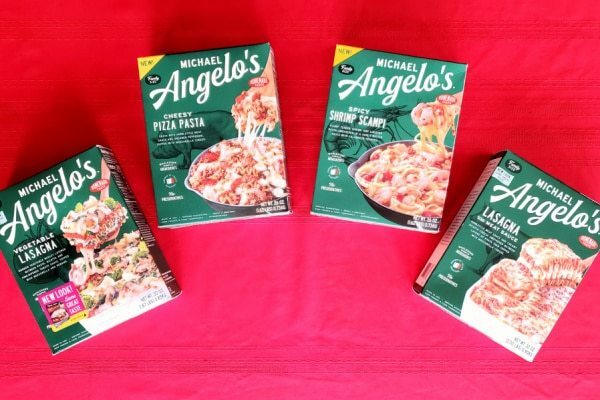 This is a sponsored conversation written by me on behalf of Michael Angelo’s. The opinions and text are all mine. If you’ve ever had to help one of your children find the backpack that is sitting right by the front door (where it always is and where they claim they checked) or watched your husband take his clothes off and drop them a foot away from the hamper, you probably dread leaving home for fear the house will fall apart in your absence. The good news is, you’re important to your family. The bad news is, they might be relying on you a little TOO much. That’s why it’s a good idea to help them manage without you once in a while. Plus, a little me-time is an essential part of any mom’s self-care routine and actually makes it easier for you to be a better mom! So, how exactly, are you supposed to get away for a day or two without your family falling apart? It’s not as hard as you think. 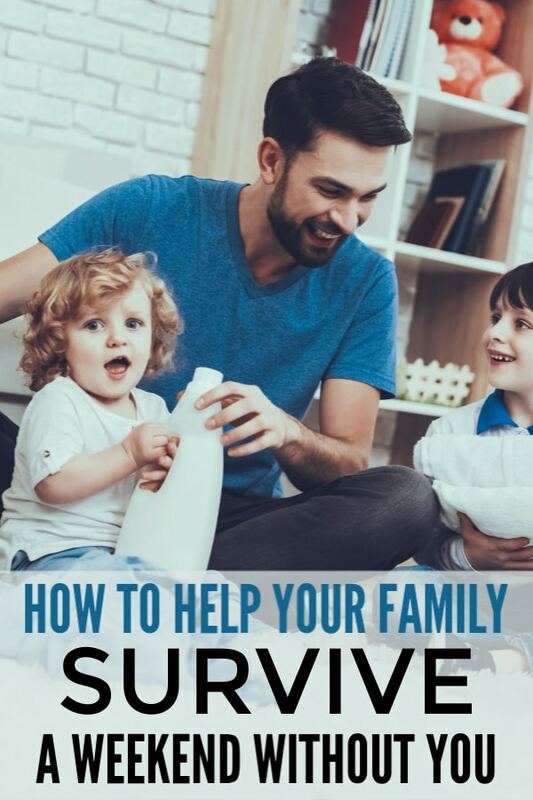 Today I’m going to share some tips to make it easy for your family to survive a weekend without you. The first thing you need to do it ward off any tears or pouting about leaving them behind to run off and do something fun. The easiest way to do this is to get the kids excited about all the fun stuff they get to do while you’re gone! Once you’ve got the kids excited about the weekend (and distracted from the fact that you’re leaving), it’s a good idea to lay out some expectations so that it’s not a full-blown party weekend while you’re away. This is a key part of making your weekend away relaxing for you and a growth experience for your family. Let them know what you expect to find when you get home. Just remember to keep your expectations reasonable. Instead of demanding a spotless house upon your return, be specific. For example, I tell my family that I like to return to uncluttered surfaces (floors, counters, tables) and an empty sink. Most importantly, post the information page somewhere it will be seen. I always put it right on the fridge door. This reduces the chance of it getting lost, plus it will serve as a visual reminder while you’re away. It took me a couple of trips to realize that if I didn’t stock the fridge and freezer before I left that my husband’s default meal planning mode was junk food and fast food. Sure, this works great with the staycation idea, but isn’t ideal if you’re gone for more than one night or if you travel multiple times a year. Also, truth being told, I don’t simply want my family to SURVIVE their time without me, I want them to learn how to function as well as when I’m home. I want them to make good food choices whether I’m there or not. To make sure the choice I hope they make gets chosen, I’ve learned that it needs to also be the easy choice. That can be a challenge when we’re up against pizza delivery! That’s why I love Michael Angelo’s freezer meals! Take a good look at the nutrition label and you’ll find that it’s full of wholesome, simple ingredients. 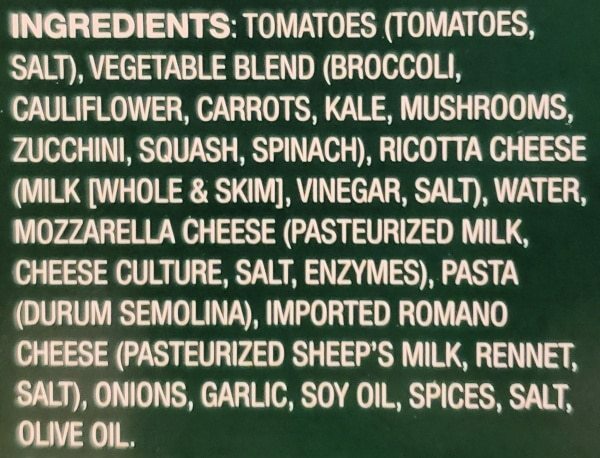 The ingredients read like a grocery list, not the supply list for a chemistry lab. You won’t find preservatives or other additives. Instead, you’ll find perfectly aged artisan cheeses, Grade-A vine-ripened tomatoes from California, and heirloom garlic grown from Italian seed. Seriously, Michael Angelo’s is pickier than I am when it comes to choosing high-quality ingredients for their meals. And trust me, you can taste the difference. If you’re doing a major stock-up, you can find them at Costco. My local Wal-Mart also carries a large selection. Look for them in the freezer aisle. These are great to stock the freezer with before you leave. To find locations that sell near you, find the store locator here (just click “Where to Buy” in the upper right corner). Of course, you don’t have to wait for a trip out of town to enjoy Michael Angelo’s entrees. 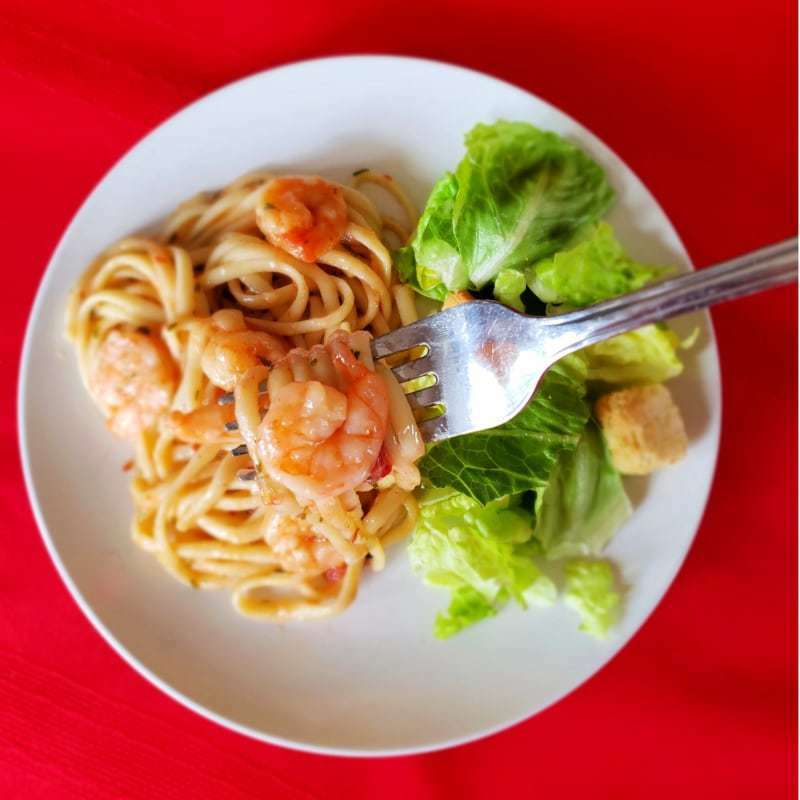 February 13th is National Italian Food Day so it’s the perfect reason to sample a variety! I also keep some on hand for those nights when I don’t want to spend a lot of effort on dinner. Buy some salad kits to keep in the fridge for an easy, healthy side dish. Other smart options to stock your kitchen with to make it easier for your family to make good choices while you’re away are fresh fruit, trail mix, popcorn, yogurt, and nutrient-dense soups. This will give your family easy, mom-approved options to handle any craving outside of dinner. The most important part of ensuring a successful weekend away from your family is to make sure you get the reunion right. If done correctly, you and your family will experience the right balance of joy at seeing each other and willingness to be temporarily separated again in the future. No matter what may NOT have been done while you were away, make sure to take time at first to appreciate everything your family did well. Then, ask them for details about how their weekend went. This will show them that even though you weren’t with them, you are still very much a part of their lives. Don’t forget to let them share in your experience too. Don’t be afraid to tell them you had a great time. Let them enjoy the story of your adventure! Finally, celebrate being together again by doing something as a family. Whether it’s watching a show together, going out for a treat, or playing a game as a family, make an effort to reconnect doing something fun. If you follow the tips above, you should be able to spend an occasional weekend away from your family to recharge or reconnect with friends. Your family won’t simply survive without you, they’ll develop important skills and newfound confidence. Best of all, when you return, your family will be stronger and happier than ever. 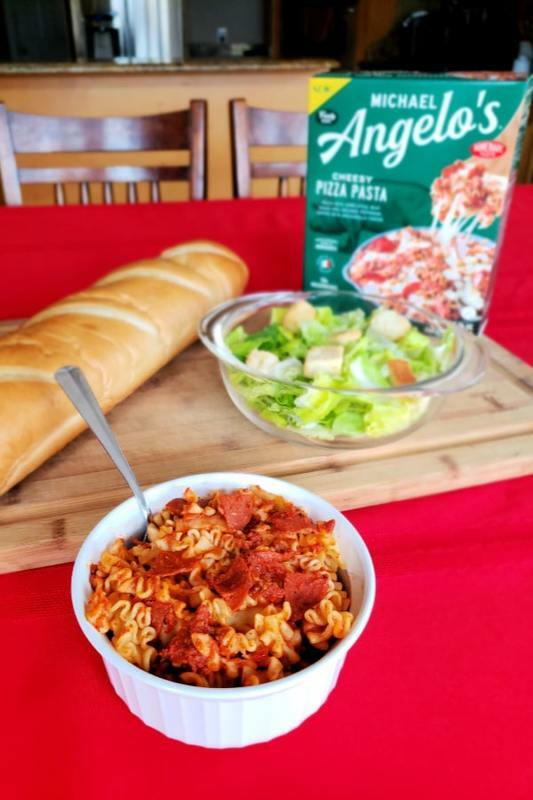 Special thanks to Michael Angelo’s for sponsoring today’s post and for making it easier for my family to survive without me when I travel away from home!